Acer Nitro 5 is now available for only PHP 39,999! Home / acer / laptops / news / Acer Nitro 5 is now available for only PHP 39,999! 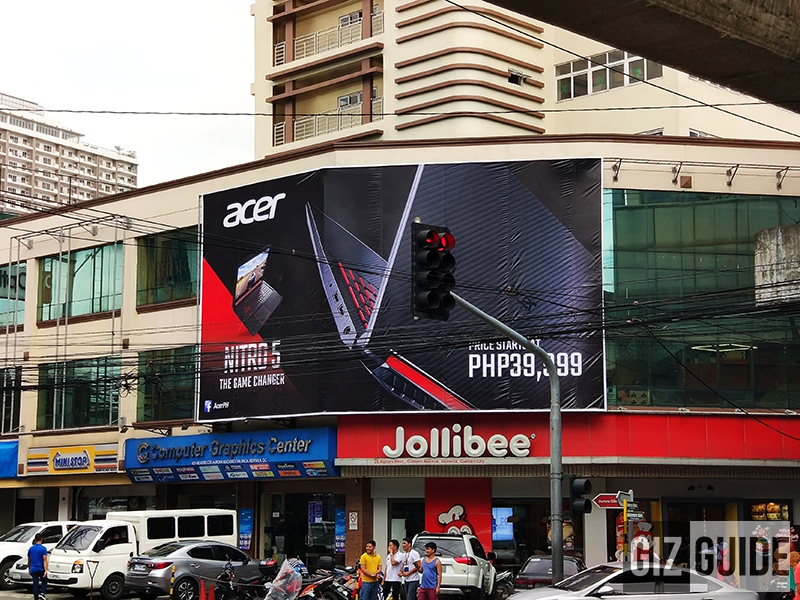 We spotted a huge poster of Acer along Gilmore Avenue, Quezon City showing the Nitro 5 priced at PHP 39,999! Acer launched the Nitro 5, their entry-level gaming laptop for casual gamers last year. It is equipped with a good balance of stylish design with powerful features. According to some reviews of international tech blogs, it is packed with a long battery life. Acer Nitro 5 features a 15.6-inch screen with 1920 x 1080 resolution. It is equipped with AMD Radeon RX 560X coupled with 4GB RAM and 1TB internal storage. Nitro 5 runs on the Windows 10 with an AMD RYZEN 5 2500U quad-core processor. Definitely, Acer have compromised in some of the specs to fit with that price point but according to some reviews, it still promises a good gaming experience. We'll get first hand experience ourselves when Acer sends us a unit for review. What do you think guys? Are you getting one? Share this with your friends and let us know your thoughts in the comments!